"I am a curious and friendly girl who loves going on walks!" 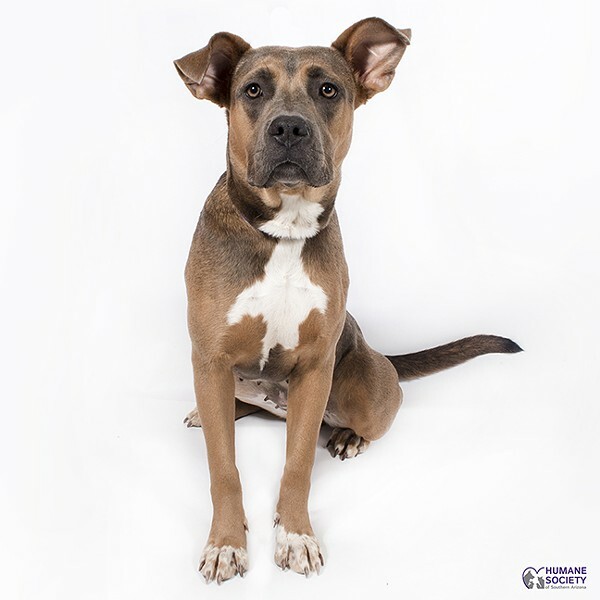 Caddy is a 1-year-old girl who can’t wait to meet her forever family! She already knows how to sit and other basic commands. Caddy would do best in a home without small pets like pocket pets, birds, or cats. Bring your family, dogs included, to meet Caddy at HSSA Main Campus at 635 W. Roger Rd. Have questions? Give an adoptions counselor a call at 520-327-6088, ext. 173.